Above: High style in two styles: The Perky Parrot’s daytime specialty is coffee. In the evening: cocktails. It reflects the desire to tailor Algona to fit an anticipated wave of young new residents. Pet Kingdom occupies a soaring space never imagined by the original architects. 10 years ago to manifest his hunch that the country’s cutting-edge cultural centers were migrating from the coasts to the heartland. Testing his thesis, Mannheimer developed and managed the Des Moines Social Club, an arts and entertainment venue in a historic firehouse. 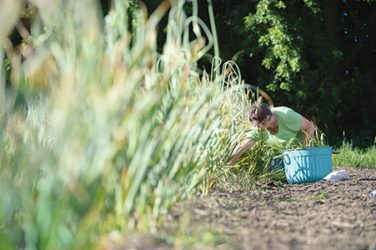 With the Social Club well established, he left at the end of 2015 to take that migration one step further—to Algona, “two and a half hours from anywhere, population 5,000,” as he puts it. Coastal cities are priced out of reach, so midcontinent, second-tier cities have been booming. Minneapolis. Kansas City. Nashville. Austin. Denver. “Now those cities are getting oversaturated and unaffordable,” he says, “particularly if you’re in your 20s. So people are coming to the next tier of cities. They’re looking for a place that’s not terribly expensive but has the cultural and recreational amenities of a big city. Right now, that’s Des Moines. 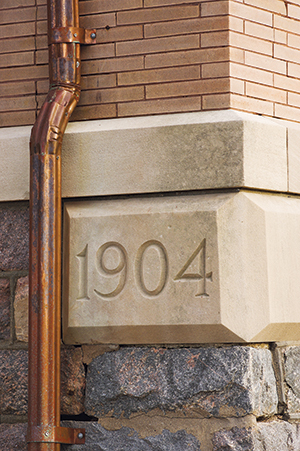 A former Carnegie Library flaunts its age even as it prepares for a new future. Algona already has a lot going for it. Its distance from larger cities ensures a strong, independent identity. Cars routinely fill most of the diagonal parking spaces that flank State Street, the corridor that bisects Algona’s 16-block central business district. Shops sell everything from shoes and lunch to real estate. The rolls of the Chamber of Commerce include more than 220 members. And local leaders have aggressively pursued industrial development. The city claims facilities for several national brands, including Snap-On Tools, Hormel, Pioneer, Pharmacists Mutual and John Deere. A midsummer Founders Day celebration, AutumnFest, Frostbite Olympics and other community events hold long-standing favor among the locals. An aquatic center, a YMCA and nearby Smith Lake provide recreation. Museums preserve local heritage. And the new $9 million Ed and Betty Wilcox Performing Arts Center, which opened in early 2017, adds artistic energy to the community. The Perky Parrot is coffeehouse by day, martini bar by night. So why a town of 5,000? Why not, say, Clinton? 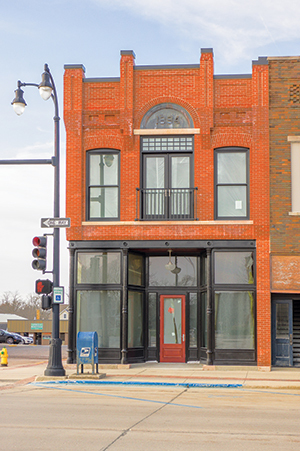 As the former vice president of creative placemaking for Iowa Business Growth Company in Johnston, he recently helped Algonans create projects in restored-to-the-nines vintage downtown buildings that add lifestyle amenities to an already thriving town. 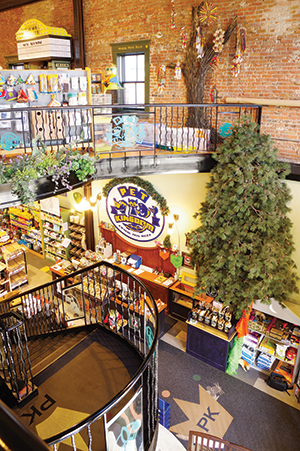 Pet Kingdom, which Mannheimer calls “the most ornate pet shop you’ve ever seen.” It has a two-story atrium and includes a pet spa and boutique. The Perky Parrot next door is a high-style coffee bar by day and martini joint by night. A 1904 Carnegie Library-turned-cultural center with visual art and performance spaces on the upper level, offices for nonprofits on the lower level, and music performances and other events on the expansive lawn. A mere 124 years since its construction, this building is being renovated to house retail on the first floor and a luxury condo upstairs. “We’re already seeing people detour through here on their way to the lakes,” says Brian Buscher, an entrepreneur and lifelong Algonan. He’s helped lead the downtown revival with pet shop owner Debra Wolfe and local attorney Scott Buchanan. 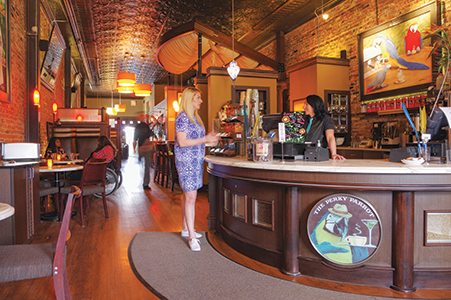 Other businesses followed suit, removing tacked-on aluminum awnings and restoring original century-old storefronts. 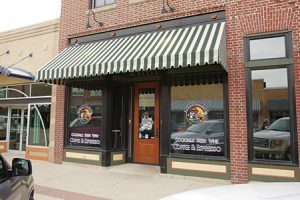 Mannheimer’s prophesied in-migration has already started: Erika and Brad Jensen recently chose downtown Algona over Omaha for their gourmet chocolaterie, the Chocolate Season. These developments aren’t imported by outsiders but rise from meetings within the community, where residents assess underutilized facilities and the best way to use them. 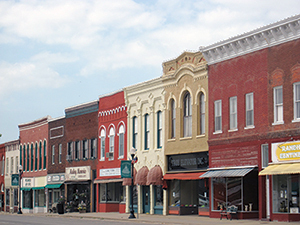 Financing comes from public and private sources that see the value in reinvesting in small towns. So last spring, Mannheimer joined McClure Engineering. The civil engineering firm was founded in Jefferson in 1956 and now has 10 offices in Iowa and Missouri. Mannheimer’s job: Add creative placemaking and cultural development to McClure’s bricks-and-mortar infrastructure focus. The combination seems to be taking off. “I’m now involved in a lot of projects, and I’ve done zero solicitation,” he says. 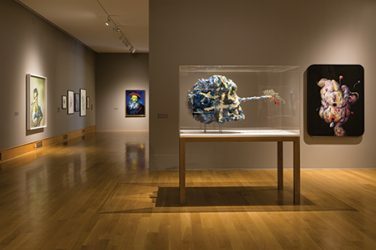 Museums celebrate their recent acquisitions.